North Korea confirmed on Monday that it had “successfully” launched an intermediate range ballistic missile. KCNA news claimed that DPRK’s leader Kim Jong-un supervised the test of the Pukguksong-2, a new type of strategic weapon capable of carrying a nuclear warhead. 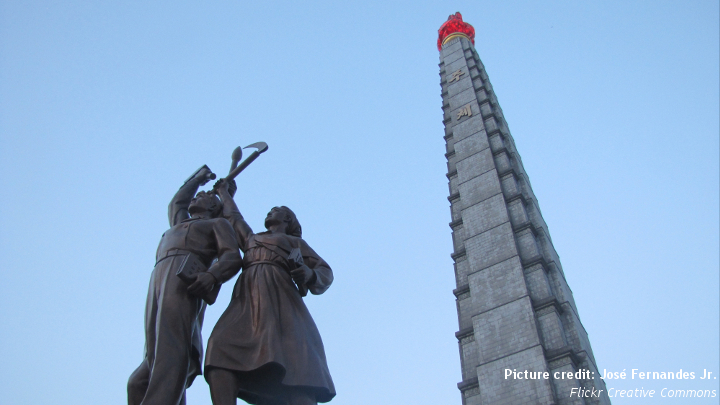 ISDP’s Senior Research Fellow, Sangsoo Lee, gives his take on the ballistic missile test and its implications. Why has the North Korean government decided to do the test when U.S. President Donald Trump was hosting Japanese Prime Minister Shinzo Abe? North Korea clearly intended to send a message to the U.S. and Japan. Although the missile that was fired is classified as a “middle range missile”, it can reach as far as 2000km. This range covers the U.S. army in Okinawa, Japan. Moreover, the missile landed in the Sea of Japan, also known as the East Sea. The North Korean regime was already preparing for the test – during his New Year’s speech, Kim Jong-un said that North Korea could do it anytime and anywhere – it should also be noted that he selected the date to coincide with Shinzo Abe’s visit in the U.S. The intention was to show off the advanced technology developed by the DPRK. Furthermore, the date mirrored North Korea’s third nuclear test four year ago – the first conducted by Kim Jong-un. This suggests that Kim Jong-un has zero intention of giving up its nuclear and missile programs. What are the likely implications of this ballistic missile test? For this test North Korea used a solid fuel engine. This reduces the time employed to launch the missile. In fact, the liquid fuel previously used needed a longer time to be injected into the engine and could not be stored for more than one week. Solid fuel is thus more efficient and stable than liquid fuel. Furthermore, North Korea used launchers with tank treads which are easier to move in mountainous areas. This makes them more difficult to detect and is a key consideration because around 70% of North Korea is covered by mountains. Therefore, the test served to show North Korea’s missile capacity and confirm Kim Jong-un’s statement during his New Year’s speech: North Korea is ready to conduct missile tests anytime and anywhere. The test is a major challenge for the Trump administration and he recently stated that the U.S. is going to deal “very strongly” with North Korea. Is he likely to follow through with his threat? U.S. President Donald Trump has previously mentioned an eventual “pre-emptive strike” against North Korea. The change of fuel type and the widening of launch locations means that a pre-emptive strike against the DPRK is very risky since it would be much more difficult to detect the DPRK’s initial launch. Moreover, Trump would need the permission of both the South Korean government and the U.S. Congress, which also seems improbable. Instead, Trump may use the threat of a large-scale war to pressure China to impose sanctions on North Korea, as China’s main interest is to maintain stability in the region. Moreover, Trump can be expected to impose tougher sanctions against North Korea, focusing more on financial control and secondary sanctions against Chinese banks who are involved in trade with North Korea. In terms of military measures, the U.S. will deploy more strategic weapons, such as bombers, nuclear submarines and aircraft carriers in the region. Meanwhile, the US will strengthen the upcoming joint military exercise with South Korea in March 2017 and deploy the Terminal High Altitude Area Defense (THAAD) in South Korea as soon as possible. Both China and Russia have voiced opposition to North Korea’s test. Are they likely to cooperate with Trump in applying greater pressure to Pyongyang? We can expect to see less cooperation between the U.S., China and Russia in the future, as Trump’s attitude towards China has been increasingly tough. First, Trump has been pressuring China with regard to the South China Sea, as well as the cyber and trade issues. Moreover, he is likely to impose secondary sanctions on Chinese banks and companies having contacts with North Korea. In addition, the deployment of THAAD is making both China and Russia extremely worried. For all these reasons, it is quite unlikely that China and Russia will closely cooperate with the U.S. in adopting a tougher approach towards North Korea, although they will cooperate on certain UN sanctions. They can also be expected to pressure Trump to deal with the issue through a more peaceful means, as their priority is stability in the region. 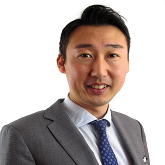 Dr. Sangsoo Lee is a Senior Researcher at ISDP.